Bella Luna's mission is to create community through delicious food & beverages, art & music; to be a gathering place where everyone feels comfortable and has fun; and to build a better Boston by supporting the work of local non-profit organizations. Bella Luna & The Milky Way is a funky, hip restaurant in a cool restored building. The food was great and the colorful decor definitely gave me an intergalactic feel, to match the name. Would definitely go back and recommend! Finally!! It’s been several nights since I got one that I didn’t regret using! This place is GREAT and I will definitely be back! Good food, atmosphere, and prices! Close to home too! Great place to have dinner or spend time with your friends! Great atmosphere, food, and very nice staff. Everything was so delicious! I’ll definitely be back! great service and great food!!! I loved the place! Excellent service and really good food and drinks.? This place is for family and date out, good service and nice music, very attractive place! Will come back there again one day! The food was awesome and unique and the atmosphere was killer too. Food was delicious. Especially loved the chicken wings, calamari and The Menino Pizza. Service was perfect. We really enjoyed dining at Bella Luna & The Milky Way! The meals were delicious and there was even a fun trivia night going on that we participated in. Would definitely recommend this place to friends! The food was fresh and dessert (Bella Brownie) was deliciously molten. Great food, it came out very fast, and good service! The atmosphere is awesome and the food is spectacular. This was the best nift I’ve gotten! the ambiance was lovely for a warm night on the patio and food was delish! Not a place you go for high quality wine, but everything else was great! Fantastic pizza! Tasty sauce, fresh ingredients, couldn't ask for more. Food was good, especially the poutine! I liked the variety on the menu and the theme nights they have at the bar. The service was a little slow, but the food was delicious and the atmosphere is great! Bella Luna is WONDERFUL and I am absolutely planning on returning in the future. Glad to have an excuse to go back to a place I haven’t visited in years. Thanks nift! Delicious food and great atmosphere! Great service and delightful pizza. Fabulous drink menu and dessert looked and smelled amazing (alas we were too full to try it our selves)! Service was fast! Food was great! I had the salmon and it was very tasteful. My son ordered the kids macaroni and cheese and was impressed (he's a six year old mac+cheese connoseuir.) We will definitely be back! Amazing food, service, and atmosphere! Bella Luna is always delicious but using Nift was great since we're so close to there having another reason to go there. Our server was great and we will definitely go again. Great food and best staff ever! Hostess was slow for a not busy night. Service was. Good, but slow to come acknowledge us. We sat outside to enjoy the sunset while having a drink and dinner. I was very pleased to see a vegan pizza on the menu - the Farmer's Garden pizza was very good. It was a partly self-serve set-up since we were on the patio and both the bartender and food server were both extremely friendly and accommodating! Bella Luna is now on the top of my go-to places and recommend this neighborhood restaurant. Cocktails are overpriced, but otherwise great place! Wonderful restaurant, fun atmosphere, yummy food. Great food and great service !!! Friendly service, good food, loved the outdoor patio! Bella Luna never disappoints! Make sure to get the green goddess pizza, you won't regret it! Great location perfect for a date night. Pizza is amazing but dinner has the best options. Cool vibe - good music and good alcohol selection. The veggie burger was good, but could have had a little more flavor in the patty itself. Overall, would recommend! The food was good but the service was slow. The food was good. The beer selection was great and they were very accommodating to our 2 year old. Good food, great service, a super place to eat, drink and be merry! The food and atmosphere was great, even while there was a major event going on in half the restaurant. Good food and service, great live music, and nice ambiance. We’ve been fans of Bella Luna since it’s original location. The food, beer choice and atmosphere are great... one of the best neighborhood spots! The food was great, the service was great, the out door patio was wonderful! :) Great experience. We will definitely be back. I got the pasta and it was a huge disappointment. It is on the menu as follows: Better Than Your Mama's Meatballs homemade italian meatballs, marinara & fresh parmesan served with linguini & garlic bread However, it tasted like pasta and meatballs if you were to take a taco seasoning packet and dump the entire thing into the sauce. It was overwhelming. I was just looking for traditional marinara and pasta as the menu stated. The waitress gave us half off the entrée so the service wasn't bad. With good weather, we were lucky to be able to sit outside. Nice patio! It was a busy night, so service was a little slow initially, but got better quickly. Food was delicious. We loved our pizzas. Wait staff was responsive to allergy situation of one of us. Great time and deal! Bella Luna is the spot to go in JP! Such a wonderful restaurant with excellent food and service! I loved Bella Luna already, and now feel even more inclined to dine there because of this Nift. Thank you! What an incredible nift! We went to a restaurant where we’ve been a few times, and had a wonderful night. When it same time to pay the bill, it was so nice to have $30 off. Definitely going back! Thanks, Nift! Great food. Cool atmosphere. Good service. Big fan of the Brewery Burger. Nice staff. Live music was a plus, too. Bella Luna is a fun place with great pizza! My waiter was wonderful! I hadn't been to Bella Luna since they moved from Hyde Square. My meal was delicious! Thank you! A 5! Thank you. Bella Luna was great! Very accommodating when we came with kids. Great pizza and beer selection. Such a great experience! Great food, great fun, and we’ll certainly be back! It was such a wonderful surprise to receive this gift! We really enjoyed trying a JP staple restaurant that we hadn’t yet had a chance to enjoy. We will be back! The food was great, they were able to seat us right away, and the waitress was terrific. My husband was shaking pepper on his pizza and the cap fell off, and there was pepper all over his pizza. They quickly brought him a new one, no problem. Bella Luna was wonderful! The food and service was great as always - I can’t wait to go back! Had to wait for a very long time to get a waiter's attention to order our food, had to wait even longer to get our check... That being said, the atmosphere was great, the food was fantastic, and we were able to order drinks at the bar beforehand, so we didn't mind the wait as much as we might have otherwise. Bella Luna is a fun-spirited, great environment with lovely staff and exciting live music. I enjoy my trip there every time, and again recently with the use of this Nift. We loved it! The atmosphere was fun and the food was great. I read about its history and significance to the community and loved it even more. Will definitely be coming back and bringing friends! I love Bella Luna & the Milky Way. Its a neighborhood favorite and as a resident of JP I love being able to walk to a great restaurant. Our service was really nice and prompt and the food was good. My boyfriend is vegan so its nice having a place that has options for him. However, its always nice to have more vegan friendly dishes! I also love that Bella Luna & the Milky way has a lot of entertainment like music and trivia and things like that. Keep up the good work! Lovely atmosphere and decor. Food was wonderful - presentation even better! Thank you so much for the nift gift! The deal was excellent, the food was excellent and the location was great too! Definitely a great neighborhood spot! Bella Luna is a great member of the JP community. They have fun events many nights and the food is delicious, especially their pizzas. Really love Bella Luna! Conveniently located and tasty food. Wish they were open earlier in the day on weekends. Bella Luna is my favorite JP restaurant. They have long been a queer-friendly establishment, and host many events for folks who live at the intersections. I also really like their pizza, and their bolognese special tonight was on point. Excellent food + ambiance! We are regulars at the Milky Way for dance events, but after trying the food we will be regulars for that as well! Great atmosphere, delicious food, wonderful staff! And the bartenders make fantastic mixed drinks!! We had an absolutely wonderful time tonight- the salmon and scallops were delicious. And our waitress was wonderful too!!!! The tangeray martini (shaken not stirred) with lemon was fabulous. All in all, it was a wonderful evening for two old friends from MASS and Maryland who were catching up. Lovely! Delicious food & drinks, fantastic, caring server, cool decor & warm vibe. Added bonus was the live music wafting from the Milky Way. What more could a diner ask for? Will return! Thanks, Nift for giving me a reason to try Bella Luna. I’m giving Bella Luna a “5” For some reason, the rating boxes don’t seem to be working. I've been here before but just for drinks. We had a great dinner here. We went on a Saturday night, and were seated pretty quickly, food and service was great. Definitely eat again here. Cool atmosphere. Tasty food. Live music many nights. We had a wonderful date night! Pizza was delicious - we had a half and half mix for variety and enjoyed the calamari app beforehand. Not sure of it was special for the holidays, but twinkly star lights were a fun, romantic touch that we really enjoyed from our cozy booth. Bella Luna was so yummy. We had the pork nachos which were delicious. And pizza was yummy too. I bought the holiday egg not which was dope. Thanks for the delicious, filling, and affordable food in a fun, jazzy environment! Excellent service. Good wine recommendation by server. Delicious food. Super yummy! And great service too :) I had been before, and I will definitely be back! The live music is a great addition too. Had pizza and wine and it was delicious! Fast service as well. Server was great. Food was delish. Great experience all around. Fun neighborhood place to grab a great salad and pizza. Awesome coupon! The place is a great sit down so the coupon is better for 1 person for food and drink. If you're going for two, bring more than the coupon! Great food and service. A group of 8 of my friends and I went on a Monday night when they had trivia night. The staff were extremely friendly, helpful, and on top of it the entire night. Will definitely be back here with groups on future nights. Great service and good food! Fun space to eat dinner and get drinks! $30 was a very generous amount, but it was perfect for the restaurant. It allowed me to fully enjoy the menu. Food was great, service not so much. The Brewery burger was so tasty! Would recommend to a friend (5) but the browser is not accepting my entry on the question below. We had great service from our wait staff Clare. The food was cooked as we ordered and was delivered to our table hot. We will definitely go to Bella Luna again and again! Loved the service, quality of good, and beers on tap. Would definitely go back. Great service and delicious food. Service was great as was the food. Always enjoy going to Bella Luna, although the service this time wasn't great. Always good ambiance, good drinks and good food. Thanks for the chance to try out this neighborhood place! Great food and great service! Loved it! Great pizza and very nice patio! Such a beautiful atmosphere! Very unique. Loved the kid plates. Food was delicious and service was great. Will definitely be going back. Thanks for giving me the opportunity to visit. Bella Luna is suchhhhh a great place! The food is amazing, the beer selection is amazing, the cocktails are amazing, and the ambiance is hip and fun. I will definitely be returning to Bella Luna. Highly recommend! Great restaurant with a nice outdoor atmosphere. The food is top notch for such a chill place. Loved everything about my experience here! It was a good place to eat in an area with not a lot of dining. The patio is lovely and the interior was a cool place. Overall, however, I doubt this is a location I would go out of my way for. Mine and my partner's meals were good but nothing special. Bela Luna is such a fun local hang out. Wide menu choices on top of the usual pizza and beer. Great music, laid back atmosphere. Perfect for an impromptu night out. So glad for the extension because of a family emergency. It was worth the wait. I loved the atmosphere! It was the perfect end to our day, and the jazz was the best touch. We'll definitely be back and will recommend to friends. Great place with an excellent atmosphere and great service. They were very helpful with getting the Nift discount applied. I am excited to go back! Bella Luna was awesome! 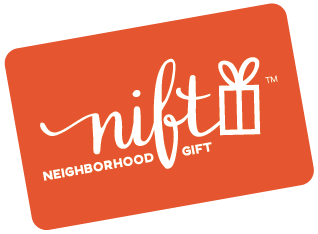 Great food and super accommodating with the Nift coupon! We were not rushed. The service was organized. The food was great. I would go back. I had such a fun time with friends at Bella Luna! The Nift I had made the evening possible!! Bella Luna has a great vibe and the best buffalo wings around! Friendly, good atmosphere and vegan options, like the rotating beers offered. Delicious pizza, nachos, and kale salad. Served on cute plates. The service was great at Bella Luna, and the food was delicious. We sat on the patio, which was lovely. A beautiful space and even some live music later in the evening. Would definitely recommend to others! Friendly atmosphere and excellent food and service. Obviously a justly popular neighborhood spot. I'd rate it a 5. Food was tasty, and the vibe was fun and relaxed. We loved the seasonal menu, and the service was excellent! Bella Luna is always a pleasure. Wonderful food and excellent service. Loved everything about this restaurant, can't wait to go back!!! It was a Thursday night and a bit busy, we had to wait about 15 minutes for a table, so reservations would have been a good idea. Service was rather slow, but the food was excellent! WE are familiar with the restaurant and always like it but this was a particularly good meal. Great food and service. Very friendly neighborhood place with interesting food and music. The food was great! Really enjoyed it. Great music and stump trivia. Yes, it was great! We are new to the neighborhood and really loved getting to try Bella Luna - we will definitely go back! The service is top notch. Especially when we have two toddlers with us. We miss the days of going on our own pre kids but love it even more now that it can still be an option with kids. The service was excellent -- friendly, fast and helpful. The appetizers were excellent. I'll choose something other than the scallops next time -- They were cooked perfectly but the seasoning and sauce weren't great. Quite acceptable but just not very good. Awesome food. Great vibe and warm feel. Nick, our server, was super nice! Great menu and beer selection! Try the poutine! I'd never been to Bella Luna & The Milky Way before even though I live really close by. The food, atmosphere, and service were great! I'm excited to visit again soon. Food was delicious and atmosphere was great! Great food and fun atmosphere! Bella Luna is a neighborhood gem! Thanks again! My waiter was real nice and very professional. Loved the lighting and set up they had. Wish they had more things on the menu to choose from. Absolutely wonderful! I had the Braised short rib sandwich and it was amazing. I have never had anything like it before, it came with french fries which tasted just like summer shack fries. My SO had a pizza that was covered in a wonderful combination of gooey mozerel cheese, cherry tomatoes, carmalized onions, and pesto. We both thuroly enjoyed our meals and look forward to going back and hopefully checking out trivia night! Love the vibe and the food! Great food, drinks, music and atmosphere! Service was excellent and the food and drinks were great. Good beer and yummy pizza! Food was great and the service from the staff (Nick and Chance) was fantastic ! Brought home leftovers for tomorrow's lunch, but they didn't make it to morning. Temptation was TOO much. Try the Nutella and strawberry calzone, if you are NOT on a diet! Food is decent, service is very friendly but often slow...but we always have fun and we keep going back! Great service, great food, great atmosphere! Had a wonderful meal & great service! Yummy food and great drink offerings! Thank you! Delicious food, warm and cozy atmosphere, great service. Although we've been married for 30 years and had a wonderful night out together at Bella Luna and the Milky Way, my husband and I agreed it would make a great place for a first date, too. We loved it. I would highly recommend it to anyone. As always, Bella Luna serves excellent food and the service is very good. Excellent place for pizza in a calming environment. The staff was very accommodating. Great chicken wings. Food was terrific, atmosphere relaxing, wait staff attentive. I will return. Loved the waitress, the kale caesar salad, the atmosphere. The bartender made a great Dark and Stormy cocktail (nice bite!). Great beer selection for my husband. Will definitely go back. Local, unique menu, friendly staff, fun atmosphere. I love this place. The food was excellent and very tasting and great! Amazing dinner, attentive and friendly staff. We loved our experience. Very simple process redeeming the voucher. While it took a while to be asked about our order, the food arrived quickly.